Reason is the proud new host of the Bastiat Prize for Journalism. Established a decade ago by International Policy Network and featuring $16,000 in award money, the Bastiat Prize honors writers from around the globe who explain the importance of freedom with originality, wit, and eloquence. 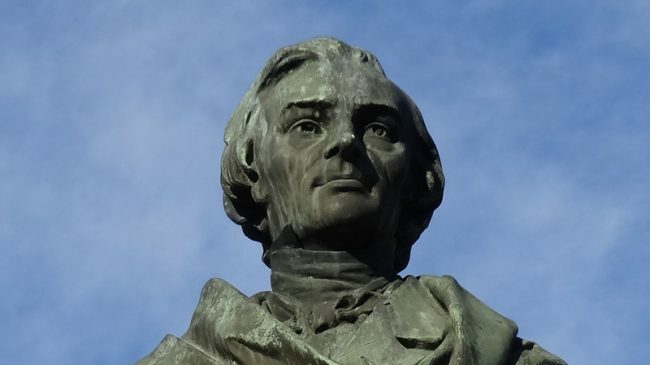 The prize is named for the classical liberal essayist Frédéric Bastiat (1801-1850), whose writings on free markets, political economy, and individual rights remain a touchstone in libertarian thought. Past prize winners include Virginia Postrel, Tim Harford, Mary Anastasia O’Grady, Robert Guest, Sauvik Chakraverti, and Amity Shlaes. Submissions to the 2012 Bastiat Prize have now closed. The finalists will be announced in a few weeks, and winners will be announced in New York on November 8 at a gala dinner. For more information, email bastiatprize@reason.org. 2012 Bastiat Prize: $16,000 for journalists who support a free society The Bastiat Prize for Journalism this year will have a total prize fund of $16,000, with a First prize of $10,000, Second prize of $5,000 and Third prize of $1,000.